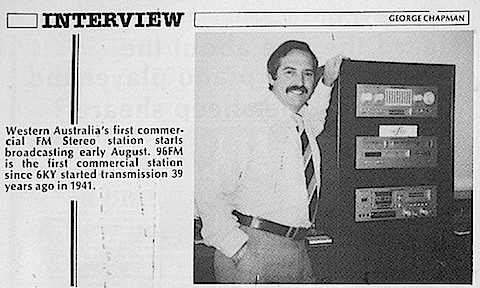 96FM has the distinction of being Perth, Western Australia’s first commercial FM radio station, being launched on 8th August 1980 by Brian Treasure with the financial support of Kerry Stokes and Jack Bendat. 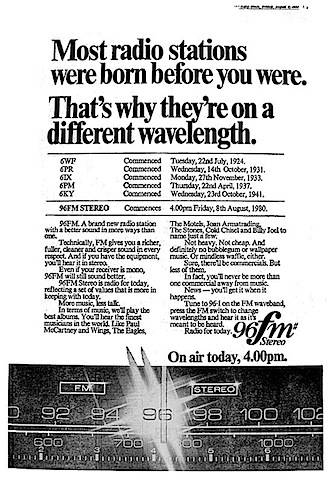 96FM was one of Australia’s first FM radio stations when it was launched 8th August 1980 and soon became the No. 1 rating station in Perth, Western Australia. Thirty years later a reunion of the original team held a reunion at Jessica’s restaurant which is now located on the site of the original 96FM offices and studios. George Chapman was the inaugural Managing Director of 96FM (1980-1984), after returning to his hometown following several years in Sydney as General Manager of Kerry Packer’s TCN Channel 9 and later Station Manager of 2UW Sydney. 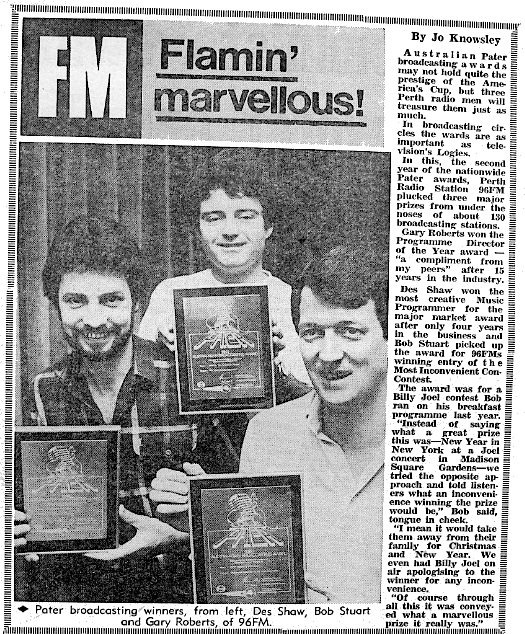 The first Program Director of 96FM was Gary Roberts, who had returned to Australia from New Zealand, whilst former 6PM announcer Gordon O’Byrne was the first DJ to be heard on FM radio in Perth. In 1992, Gary Roberts moved from 96FM to the Jack Bendat owned 94.5FM (formally 6KY) to take up the role of General Manager (after being General Manager of 96FM from 1984 to 1992). 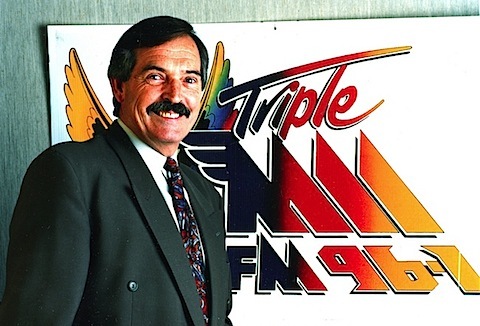 In 1993, the Triple M network in the eastern states, bought 96FM and renamed the station Triple M.
In 1994, the Triple M network, owned by Hoyts Media, was in financial difficulties and sold to Village Roadshow, who then sold the network to Austereo, in return for a controlling share of Austereo. In 1997, Village Roadshow subsidiary Austereo purchased radio stations 92.9FM (former 6PM) and 94.5FM (former 6KY) from Jack Bendat, but Australian media ownership laws required the divestiture of Triple M (former 96FM), so Village Roadshow sold it to Southern Cross Broadcasting (a division of Fairfax Media from 2007), which also owned AM radio station 6PR. Southern Cross then returned the station back to its original ’96FM’ branding. 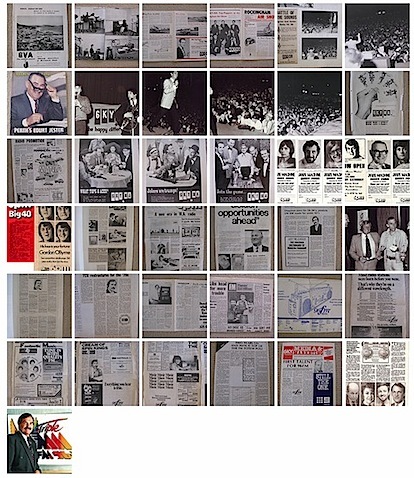 96FM contributions thanks to George Chapman. 96FM was the first commercial FM station in Perth. 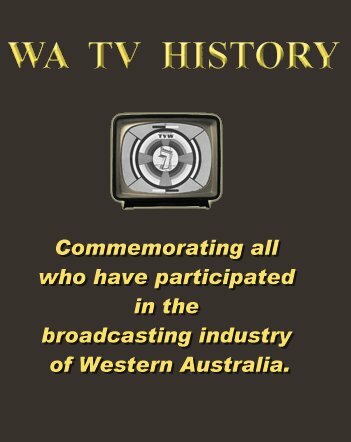 6UWA (later 6UVS now RTR) was on air April 1 1977. I started with reception, programing assistant, and eventually ad scheduling. within the first few months I was consoling John Lennon fans at his departing. It was strong. We were open to what our audience wanted, made note of the requests, and programmed it amongst all the other great stuff that seemed to have missed over all the years with the AM stations. 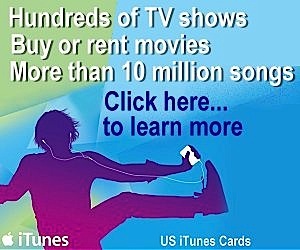 They sold the station, alot got rich and went on to other missions. The problem is, that the whole of Perth has stayed safe in that 80”s loop, ever since…..